It's amazing how such simple ingredients, including stale French bread, can make such a rich dessert. This basic bread pudding recipe also includes nuts and dried fruit. 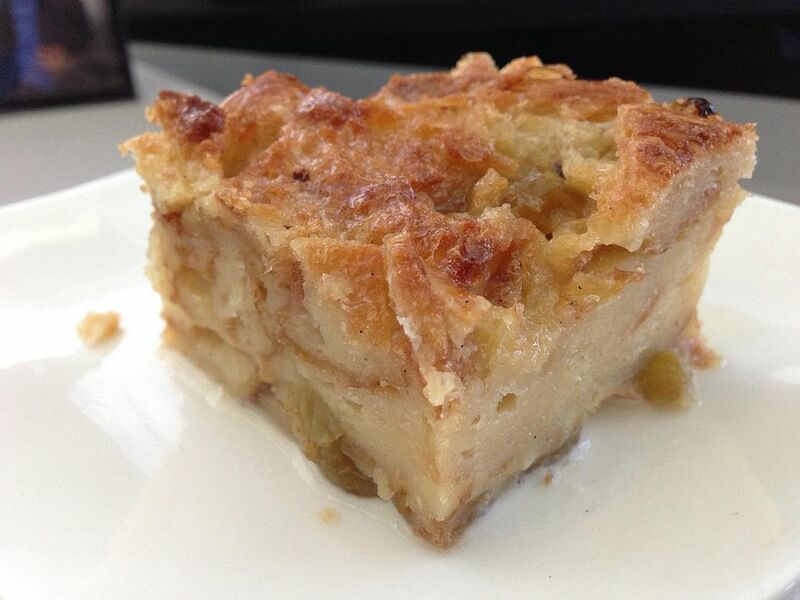 Thanks to Aileen F. for sharing her recipe for Basic Bread Pudding. Preheat oven to 325 F. Grease a 13x9 pan. With a hand mixer or wire whisk, beat eggs until lemon colored. Add sugar and beat until dissolved. Next add milk and cream. Combine. Add vanilla, cinnamon and salt. Stir in 6 cups of bread. Stir in dried fruit* and nuts. Dump bread mixture into prepared pan. Top with remaining bread. Press bread down. Brush dry bread pieces with melted butter. Sprinkle with cinnamon-sugar mixture**. Bake for 45 minutes or until edges are done and center still shakes a little. Allow to cool for 30 minutes before serving. Serve warm with a Hard Sauce or a Caramel Rum Sauce. If you want more flavorful raisins, plump them. Cover the raisins with very warm water and allow sit for 10 minutes. Instead of water, liquor or juice can also be used. If using room temperature liquid, soak raisins for 25 minutes. Instead of purchasing the cinnamon-sugar mixture, you can make your own. Mix 2 tablespoons of sugar with 1 tablespoon cinnamon. More or less cinnamon may be used. Just be sure to keep the total amount the same.